Proof that theatre provides a safe space for anyone to tell the most heartwrenching of stories. There’s a saying that all stories are worth telling, if only one knows how to tell them. In dead was the body till i taught it how to move, Bhumi Collective presents the story of an ordinary boy going through extraordinary trauma and grief. While going through university in Warwick, ex-Ministry of Education Scholar Dominic (Dominic Nah) suddenly finds himself coming face to face with his father’s death, a difficult father he’s come to resent in recent years. Caught up in a flood of emotions, Dominic tries to make sense of all he’s going through in the one way that seems to help: breakdancing. dead was the body till i taught it how to move gives Dominic a chance to tell his story the way he wants it to be told. 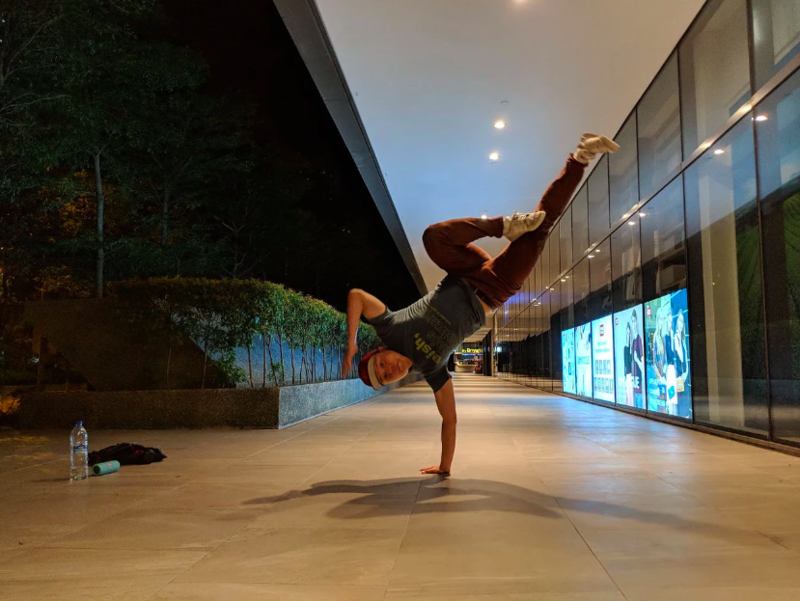 Directed by Adeeb Fazah, the play is a prime example of theatre as a means of therapy, an additional coping mechanism for Dominic to go beyond actually breakdancing to figure out how to move on. The simple, arena-like set-up is one that places Dominic in the spotlight from the get-go as we surround him and lean in to hear his tale. While initially a little nervous and reserved, Dominic does eventually come out of his shell as he delivers his lines conversationally and naturally. Dominic is not a trained actor, but one feels the sincerity and realness behind his performance as he attempts to create a conversation, particularly when his eyes light up as he speaks about the joys of B-boy dancing and making a pilgrimage to the Bronx and meeting the ‘grandfather’ of hip-hop. Dom’s story is not an easy one to tell, and one feels that what we witnessed tonight was still very raw. If anything, Dominic is at his strongest when we see him performing the choreography interspersed between scenes of him verbalising his story (with good movement direction by Michael Ng), a sense of freedom and expressiveness in his body and eyes. 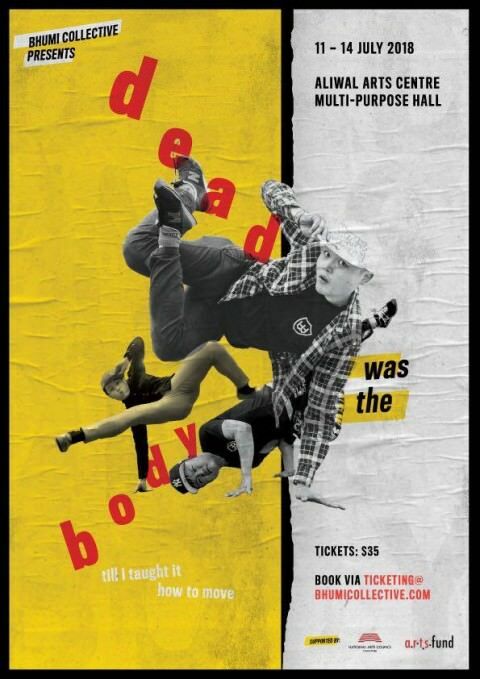 This is evidently where his strength lies, and one felt that dead was the body till i taught it how to move may have made for a more innovative, effective production if it had capitalised on Dominic’s physicality and incorporated it into the performance more cleanly. There is a difficulty to putting a real life trauma on paper as the actor himself goes through a rollercoaster of emotions, where even a single day can be impossible to get through at times. 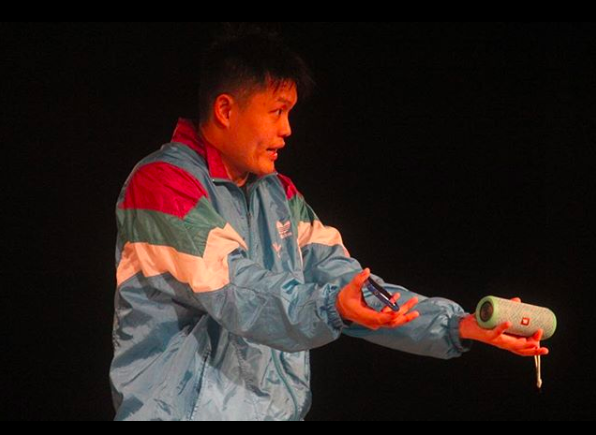 Edward Eng’s script has some interesting ideas and gave Dominic the space and time to express himself, however, should act as a stronger guide to ground and lead Dominic’s performance, giving structure and articulation to better harness his emotions and the clarity of his story onstage. Ultimately, dead was the body till i taught it how to move is a project that hopefully, helps Dominic express and comprehend his own life better, a means for him to use the transformative power of art as a form of self-help, assisted by the team at Bhumi Collective. 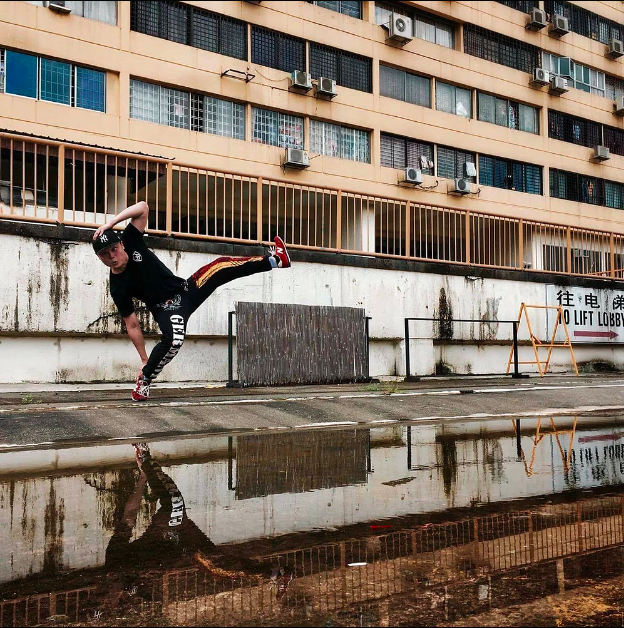 An experiment in form as the two seemingly disparate worlds of B-boy and theatre come together, there is potential in a work that attempts to harness the strength of both and unite them with a story steeped in real emotion. As one sees Dominic perform the final number, his body slowing to a halt as his heart begins to break, one is convinced of the use of theatre as a safe space for anyone to find meaning and value in any story, and perhaps, finally, teach this body to move on.